​How does T&M parallel the methods of Jesus and Paul? 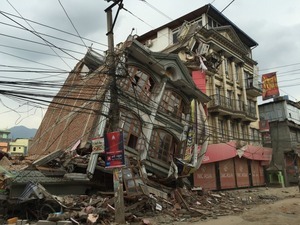 One Mission Society ministry partners are already on the ground in Kathmandu, helping Nepali earthquake victims. With more than 4,600 people dead (and that number continuing to rise), 9,000+ injured, and 8 million affected by the devastating 7.8-magnitude earthquake that hit Nepal on Saturday, April 25, your help is desperately needed today. 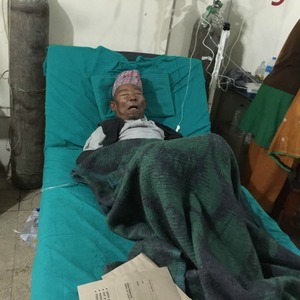 Nepal earthquake victims need your help. Give now. Supplies are scarce. Our workers report that food, water, blankets, medical supplies, and shelter materials are most crucial at this time. Currently, $160,000 has been raised by OMS and our partner ministry Mercy, Inc., but much more is needed ... and needed quickly. In emergency situations like this, hours and even minutes matter. 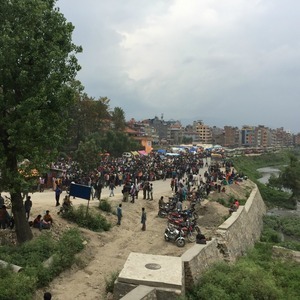 Engaging a volunteer network of more than 20 churches in Nepal, our team on the ground has already distributed medical supplies, and we hope to begin distributing food and other emergency aid tomorrow. With a tragedy of this magnitude, we need your immediate help. Your donation will be sent directly to our trusted workers in Kathmandu to be used for immediate needs, including sharing the hope of Jesus. OMS will post weekly updates here on how your dollars are helping the people of Nepal. Join us in praying for the families impacted by the tragic loss of life and homes in the Kathmandu area, and please give generously to help as they recover.